Prepayment meters allow homeowners to pay for their gas and electricity as and when they use it, much like. While they are generally used by low income individuals and families, such as those on benefits, or those without a bank account, they are also quite popular with other customers as they can be a useful way to help manage household budgets. With a prepayment meter, you pay for your energy upfront by topping-up your account with credit, in the same way as a pay-as-you-go (PAYG) mobile phone. There are three types of prepayment meter – smartcard, keys and token meters – and each of these can be topped up in newsagents, garages and also in some Post Office branches that display the Payzone or Paypoint symbols. 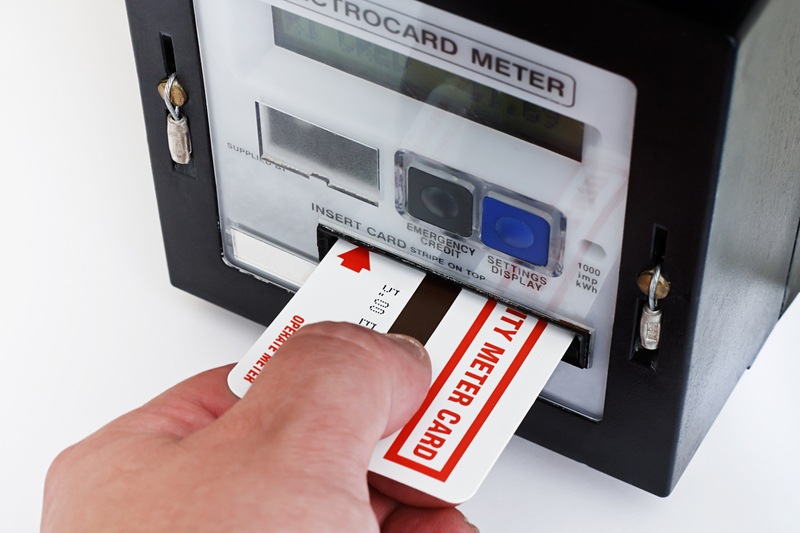 If you have a smartcard or key prepayment meter, your energy prices will automatically change as and when energy suppliers increase or cut their rates. If you use a token prepayment meter, any prices changes will need to be made manually and can take longer to implement. The main advantage of using a prepayment system is that it can help with budgeting – you can keep track of how much energy you are using and cutback on consumption if you feel you’re having to top-up too much. Also, if you develop a fault with your meter or payment, your supplier is obliged to come to your property to repair the fault within four hours. The downsides are that prepayment meter customers often end up paying a higher rate for their gas and electricity than customers on other credit tariffs due to the extra costs the meters incur, such as the fees for collecting cash via Paypoint, Payzone and Post Office outlets, and the cost of installing and maintaining the meters. Homeowners using a PAYG energy system are also unable to take advantage of online discounts, or use money-saving direct debit payment. If you currently have a credit meter but feel that you are unable to manage your monthly energy bills, you should consider switching to a prepayment meter. If, however, you want to change tariffs, but don’t want to pay the higher prepayment rates, you should contact your energy supplier to see if they offer cheaper tariffs for vulnerable customers (See Social Tariffs for more information). If you already have a prepayment meter in your home and would like to switch to a standard credit meter. Bear in mind that you will not be able to do this online as an engineer will need to be sent out to change your meter manually. You will also be charged a small installation fee by your supplier, although this will easily be offset by the savings you will make by switching to a cheaper credit tariff.